The Zululand Chamber o f Commerce and Industry (ZCCI) is the voice of business in Zululand, Northern KwaZulu-Natal. Headed by chamber president Judith Nzimande, a dynamic HR expert, the organisation celebrated their 90th anniversary in 2016. It has a rich tradition of business support, and it receives continued support from businesses across the spectrum, ranging from massive multinationals to emerging entrepreneurs. The highlight of the ZCCI’s journey during the last year was the ZCCI’s leadership spearheading a project to secure a sustainable water supply for the whole region. When the reality of the region running without water following the worst drought in a century became clear, Ms Nzimande lead a delegation of corporate CEOs to the Provincial leadership to request support for the doubling of a pipeline from the Tugela River to Goedertrouw Dam. Following this, a period of intense lobbying to central government followed, which resulted in a partnership with the Department of Water and Sanitation. 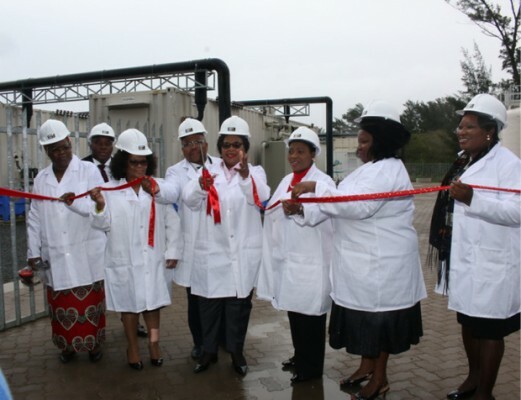 This partnership not only saw an emergency desalination plant constructed in Richards Bay, but also led to the conclusion of a contract to double the pipeline. During this period, the mayors of the District and Local Municipalities as well as the region’s corporate CEOs were part of a steering committee that maintained continued pressure to conclude the process. Apart from this, the ZCCI president also chairs the regional chapter of the Growth Coalition, where corporate CEOs have regular meetings with the municipal and provincial leadership to ensure that stumbling blocks in the way to economic growth are removed swiftly and efficiently. Another successful project this year was concluding an agreement with TRIAS, a Belgian Development Programme to support the development of micro, small and medium enterprises in the region. The TRIAS agreement will continue during 2018. The ZCCI’s SMME development and support programme has grown exponentially during the last year, and include the offering of a basic business skill enterprise development programme which is run in Richards Bay, eSikhaleni and eShowe. 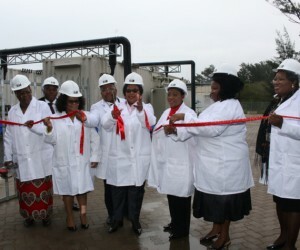 Cutting the ribbon to officially open the desalination plant in Richards Bay is the Minister of Water and Sanitation, Nomvula Mokonyane, with ZCCI President, Judith Nzimande on the right.